This week we filmed me painting in miniature, here I am putting the finishing touches to a three panel seascape painting that I then made into a miniature dolls house screen, creating a unique piece of furniture for a dolls house. It was fun to make, I hope you enjoy watching, if you would like to leave me a comment that would be great ….. I have lots of miniature art for Dolls Houses and Collectors in my Art in Wax Miniatures Shop including some more screens. 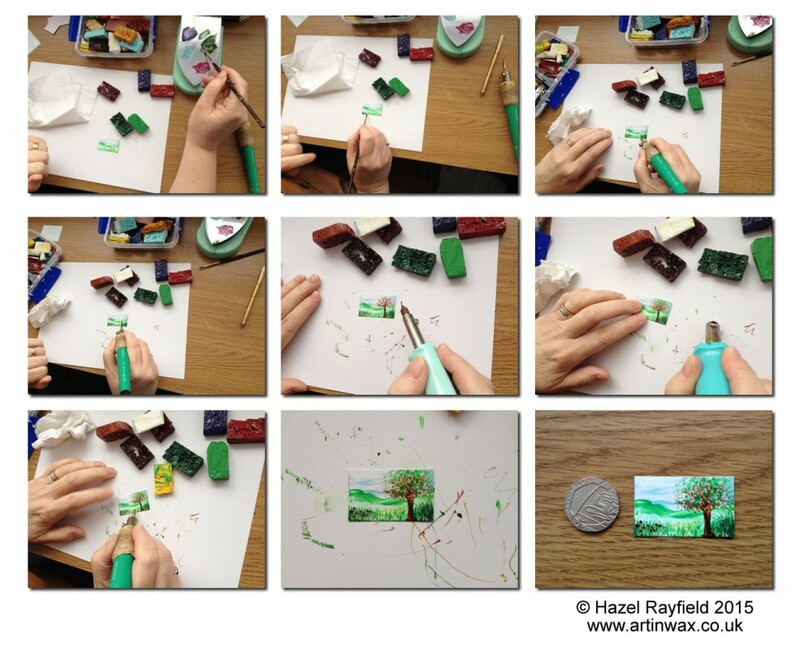 I thought it might be fun to show some pictures of me painting my miniature Dolls House art pictures, this is blog post shows a little demonstration of me painting a landscape and a Lady in miniature. 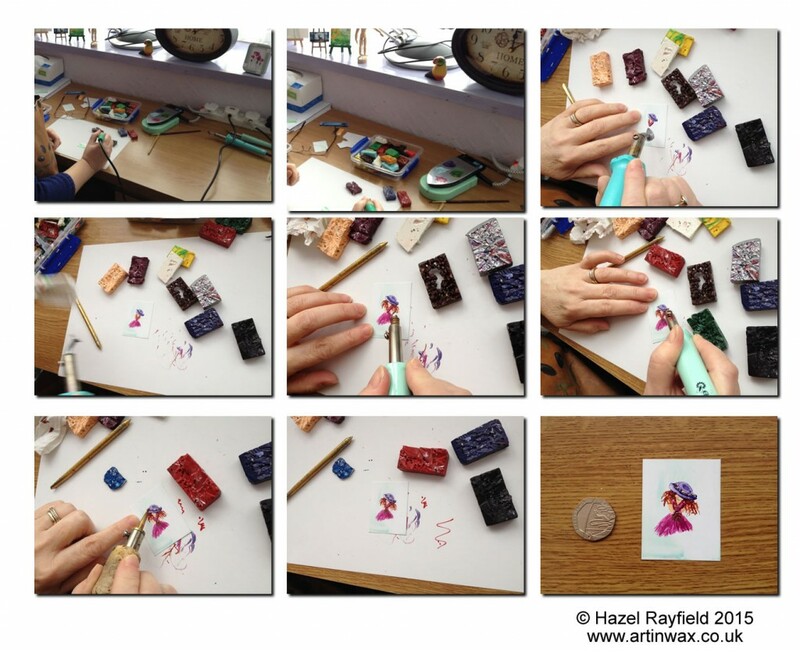 Being a miniature artist is great fun, painting miniature Dolls House Art in hot wax can be a challenge. This painting of a countryside view is a landscape picture measuring 24 x 38 mm so 1 1/2 inches by under an inch in size. After creating the sky and background landscape I added some darker wax in the foreground, melting the wax on an up turned Encaustic iron which I use as mini hotplate. I then use a variety of heated stylus tools to paint with, heating the wax and applying and painting as I go. Meet Lady Juliette in her pretty purple hat with flowers on and her long flowing auburn locks of hair …. She could fit nicely into a period property (dollhouse) or a modern setting depending on the setting, the overall painting measures 1 1/2 x 2 inches approx so plenty of room to cut it down to fit a frame maybe.